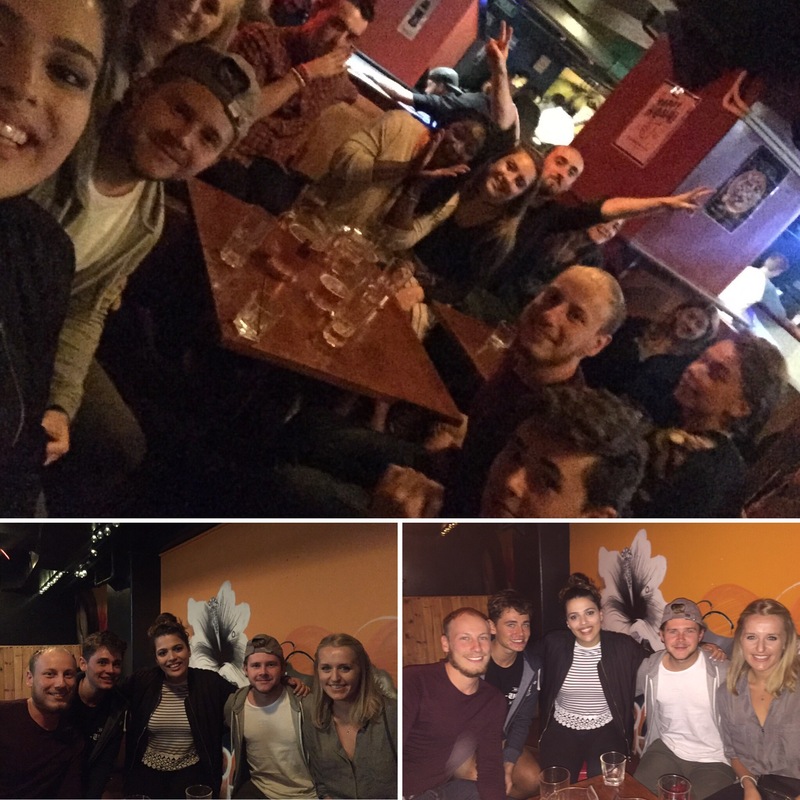 We arrived in New Zealand’s capital city, Wellington, in the late afternoon of the 4th April 2017 and got checked into our hostel, Base. When we arrived it was raining and it continued to rain the rest of the evening so we decided against leaving the hostel. We got ourselves settled seeing as we’d be there for the next 4 days and then headed down to the hostel bar to redeem our free drinks vouchers that we’d been given at reception and to meet all of our friends from the Kiwi Experience bus. We had a really nice group and so it was a lovely evening all together especially as we all had different schedules for how long we’d be in Wellington and how fast we’d be doing the South Island of New Zealand so it would be the last time we were all together. 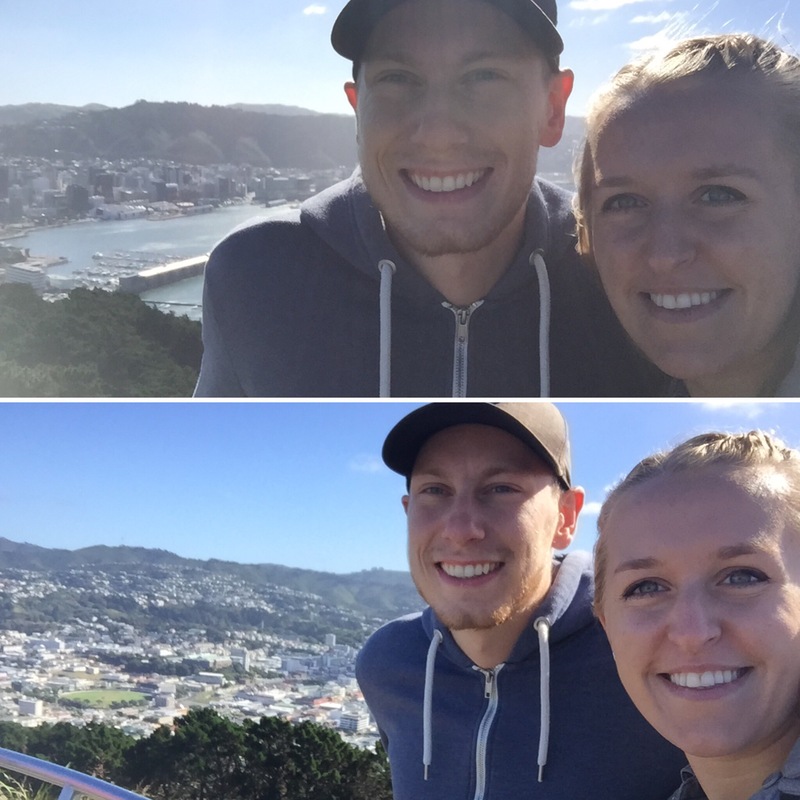 On our first full day in Wellington, our first priority was to buy food and warmer clothes. After getting some breakfast we headed to Cuba Street which is one of the main streets in the city. There are loads of great vintage shops there but a lot of them are pretty expensive (and not just for our budget)! We eventually managed to find a cheap charity shop and I was able to get a coat for just $16 (that’s around £9) and Niall got a warm jumper. Cuba Street reminded me a lot of the Northern Quarter in Manchester, for anyone who has been to Manchester because of the independent, arts, vintage and charity shops as well as bars and places to eat and, in Wellington, it seems to be the focal point of the city. 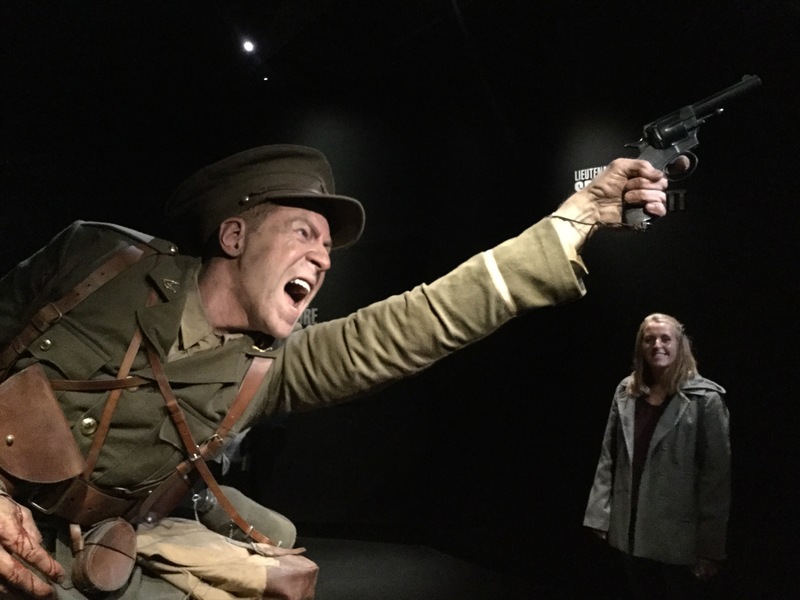 Our next stop was to the Te Papa museum which was just in time as it had started raining really heavily again, a recurring theme for our time in this city! 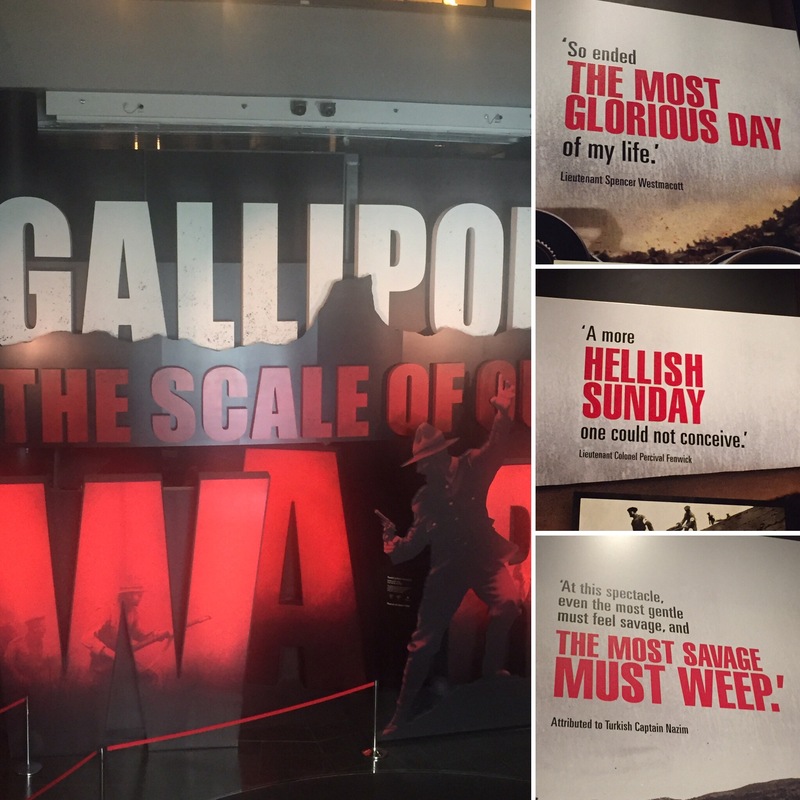 Probably one of the best exhibitions we have ever seen was in this museum – ‘Gallipoli: The scale of our war’. 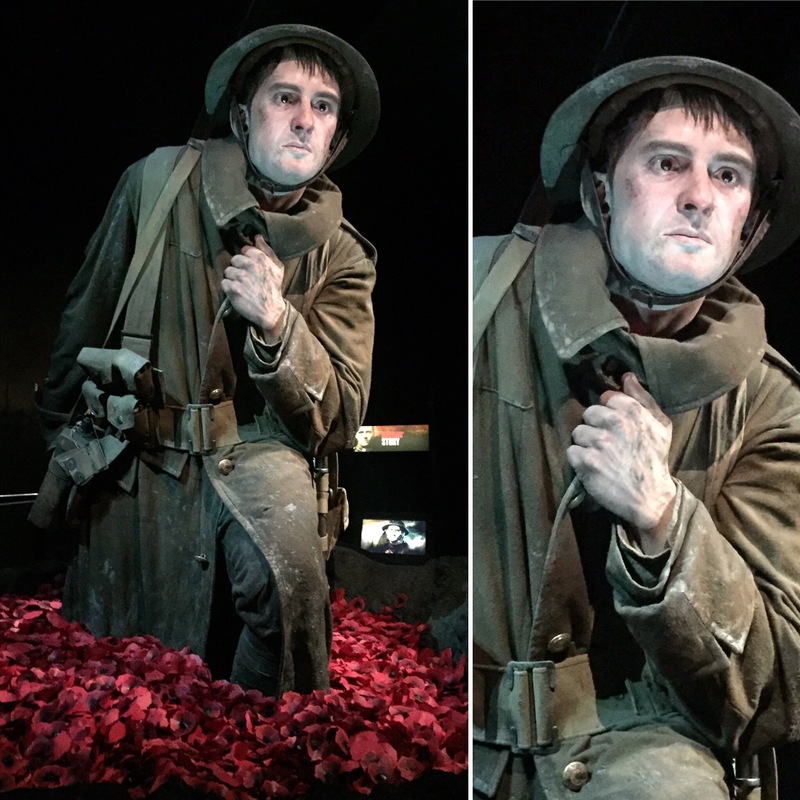 This exhibition showcased enormous and incredibly life like statues of people involved in World War II accompanied by their personal stories and experiences in the war. 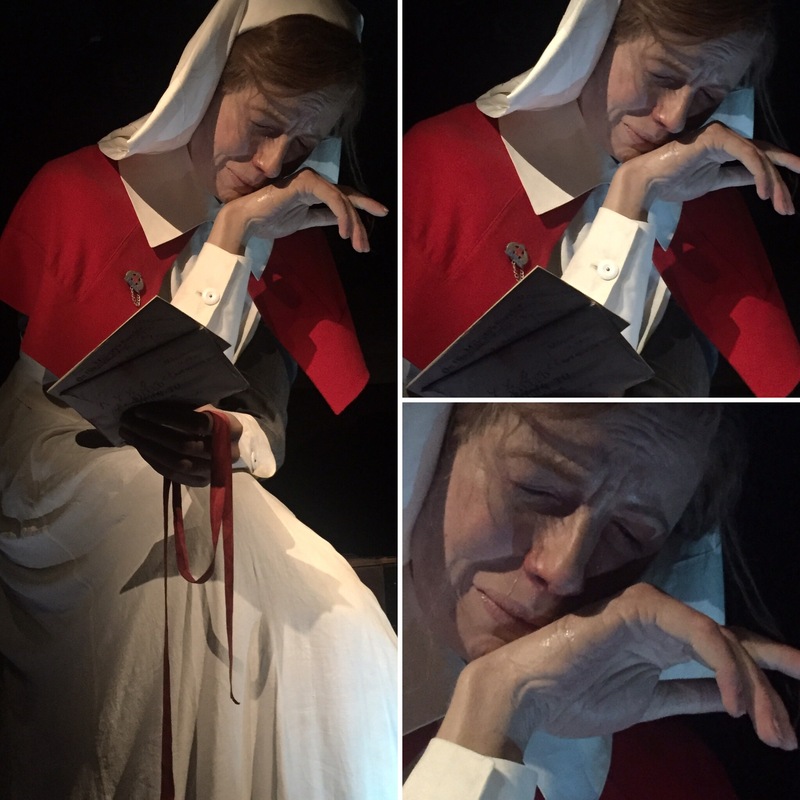 Between each enormous statue was a lot of information about the war and the experiences the soldiers, nurses and even people back home had during that time. 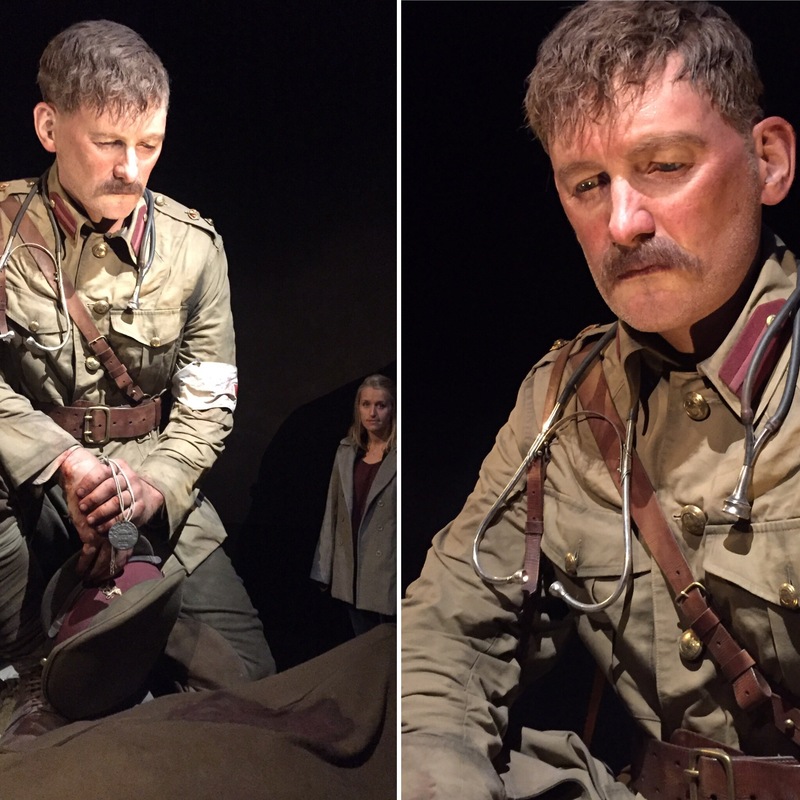 The whole thing was incredibly moving and done to an exceptionally high standard and all of us there (we had met some people from our bus) were blown away by it. We spent a good hour or two in that exhibition so didn’t have too long to see the rest of the museum. The next room we went into housed a giant Collosal Squid which had been found in 2007, caught in a fishing boats net and so brought to the museum to be studied and displayed. 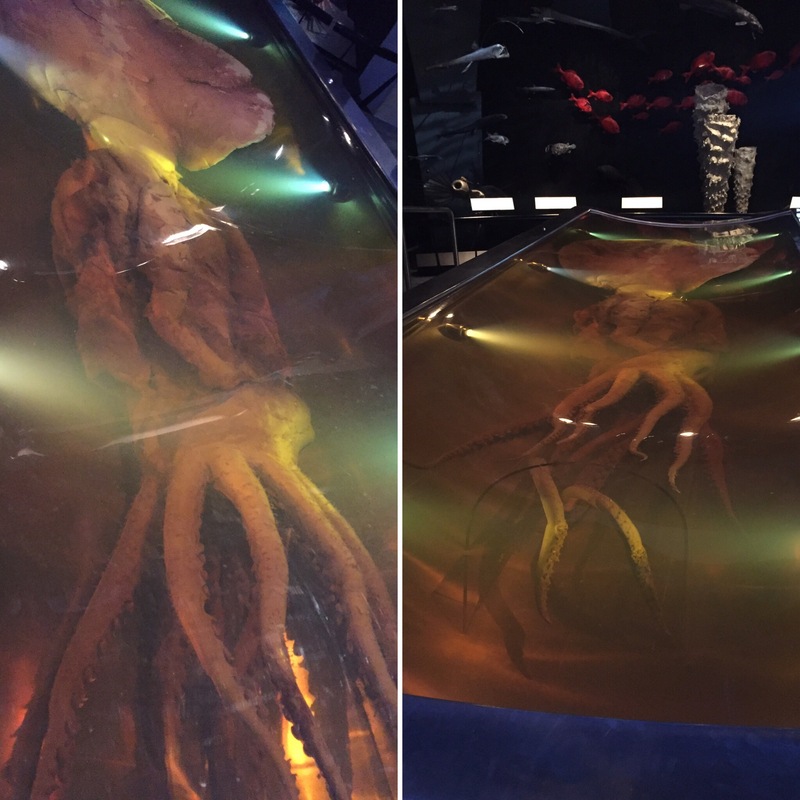 It was enormous and, from what I can remember, it is one of the few giant squid on display anywhere in the world! We also went into a natural disasters room that had a mild earthquake simulator and had a database of all the earthquakes that happened in New Zealand at that moment. If was incredible how, Kaikoura, where the enormous earthquake had happened the year before, had experienced four small earthquakes just that day. 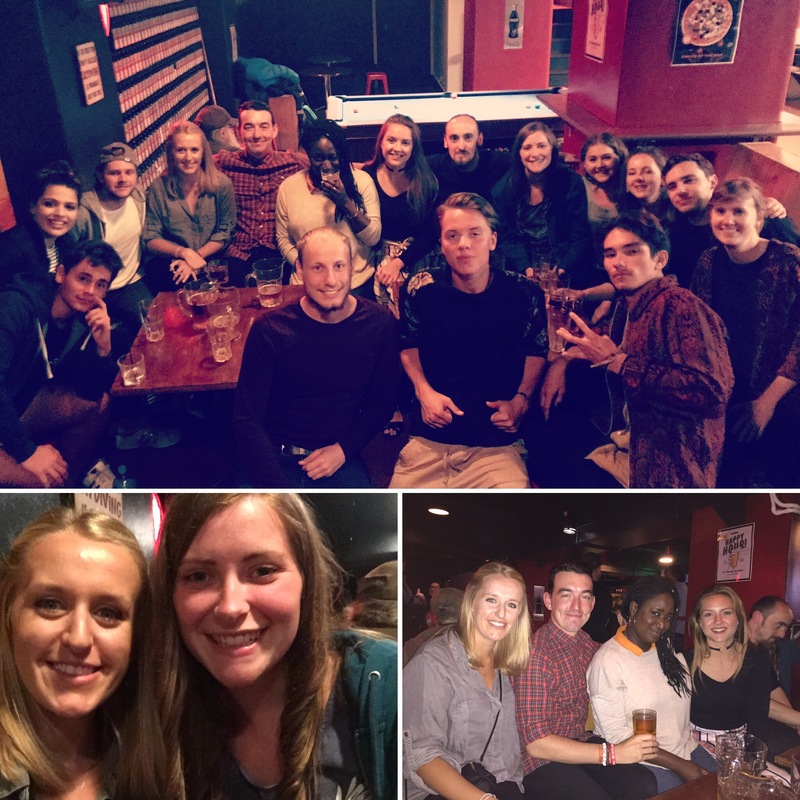 The majority of people we knew from the Kiwi Experience bus were leaving in the morning to carry on to the South Island and so we had a chilled night relaxing with them all at their hostel. The next bus we would be getting would have a brand new group of people on it for us to get to know. 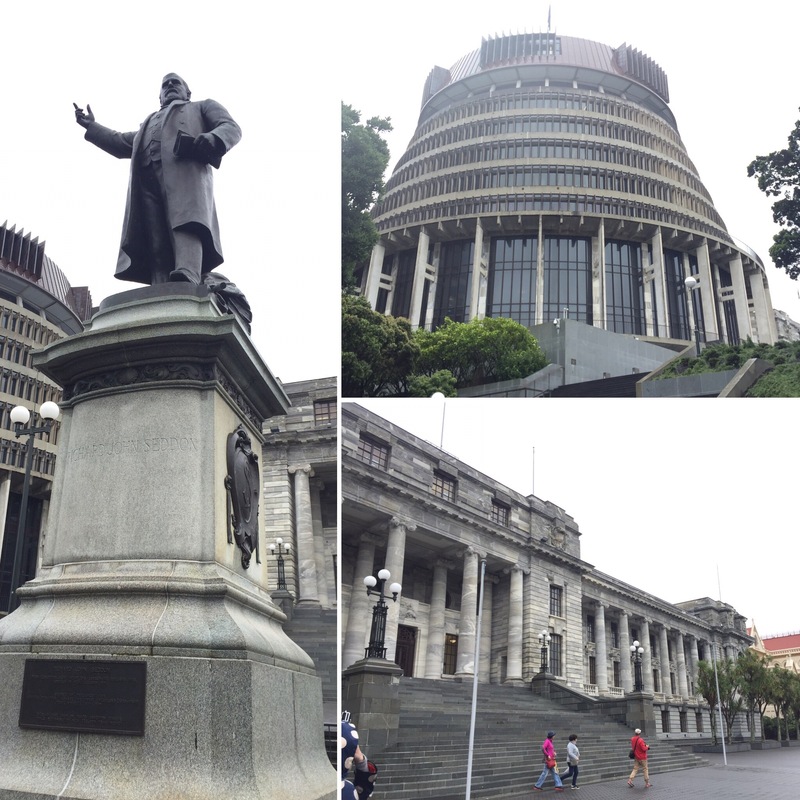 On the 6th April, our second full day in Wellington, we headed to Parliament Square and the Beehive which is their main government building. We booked onto a tour of the building and it was interesting learning more about the way they run their Parliament. New Zealand got rid of their upper house and instead have select committees for different areas such as environment, education, Maori matters etc. They then debate bills that are going through parliament before they become law. What’s interesting about this is that anyone can write into those hearings and people can also get invited to speak and have their say over particular issues. 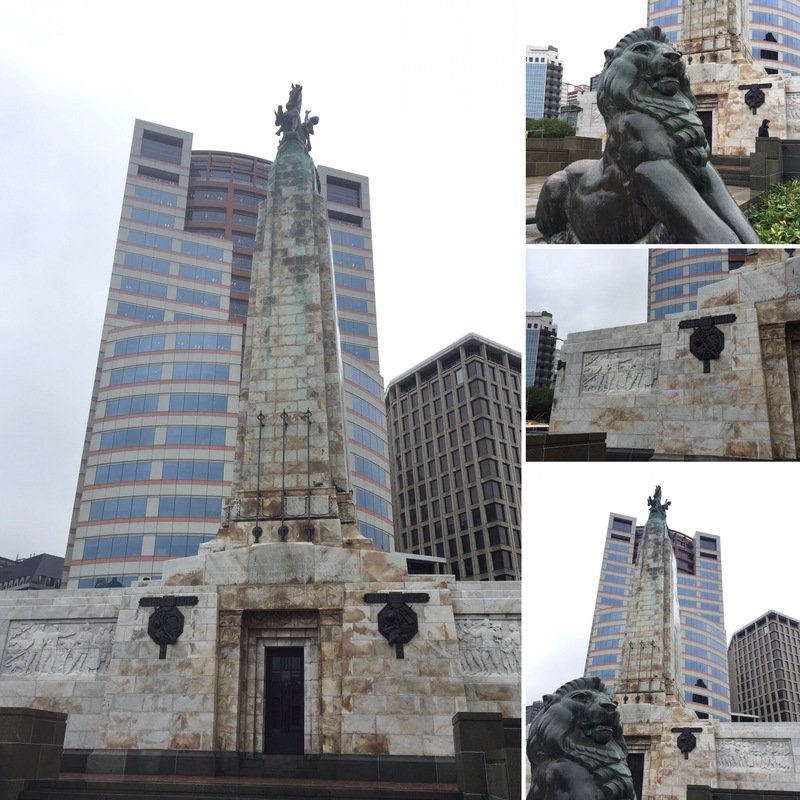 Our tour guide, Tim, took us into the Maori select committee and was actually quite disrespectful about their beliefs! There is a particular story that is widely told and believed in Maori culture about Māui who is their Demi-god and is said to have been on his canoe (which is the South Island) and caught a fish (which was the north island). The north island is the shape of a sting ray and you can kind of see that when you look at a map of New Zealand. As we had seen a lot of Maori culture during our trip so far and met a lot of lovely maori’s we weren’t impressed by his mocking tones – the other tourists on our tour were even laughing about it – not cool! We got to see how they had earthquake proofed the building – hard to even comprehend having to think about this when we don’t really get earthquakes in the UK! It’s done very cleverly as they use this strange device that takes all of the weight of the building and can sway up to 30cm in either direction so that the building is stable during an earthquake. We then went to watch the House of Representatives in session which was good. It was full of sass and shouting so was quite funny but also quite immature at times (politicians aren’t so different after all despite being on the other side of the world!) We then met Rachael and Vanessa for tea in a suburb in Newtown at a lovely Italian restaurant. It was great to get to spend more time with my family while we could as I don’t know when I’ll next see them. On Friday 7th we were luckily enough to get some sun and blue skies! It was still pretty cold though but we made the most of our clear sky day. 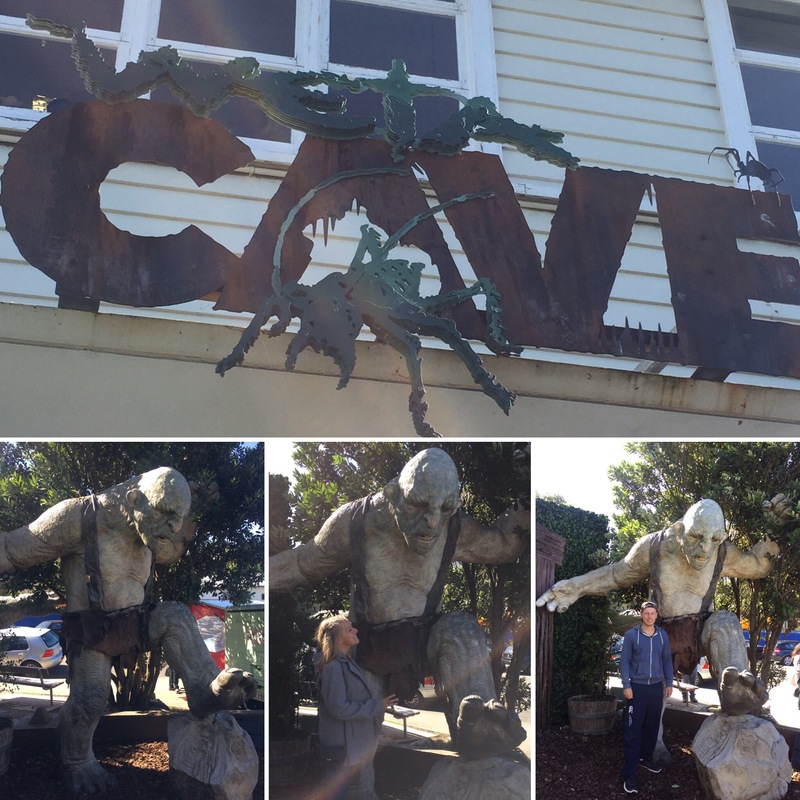 We had booked onto a tour at the Weta Caves workshop for 12 noon so headed there after breakfast. 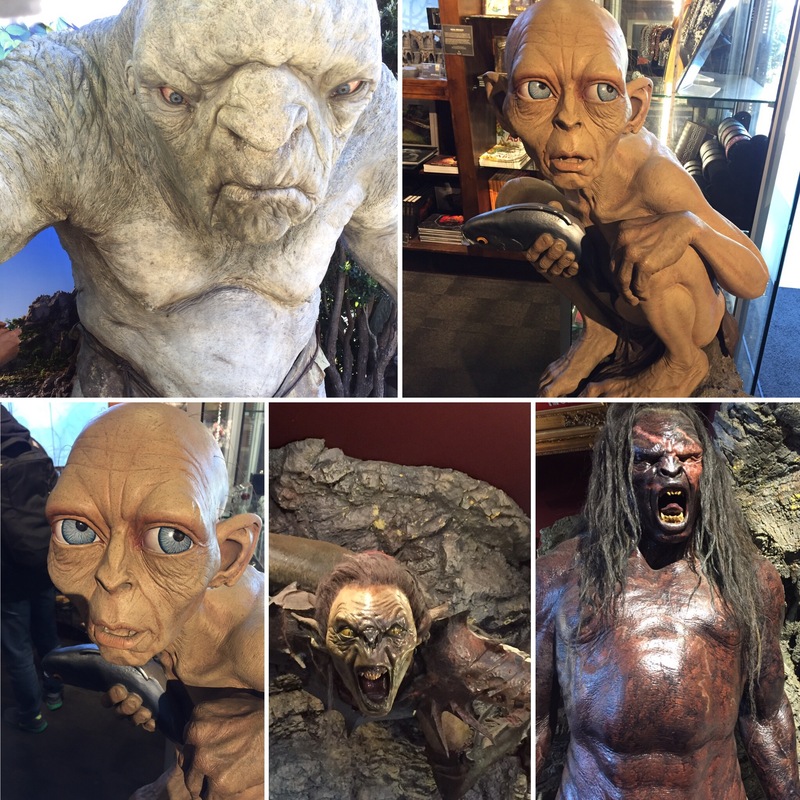 The Weta Cave make physical props for films and did the props and costumes for films such as Lord of the Rings and the Hobbit as well as District 9, Avatar, Tin Tin, Thunderbirds and World of Warcraft. 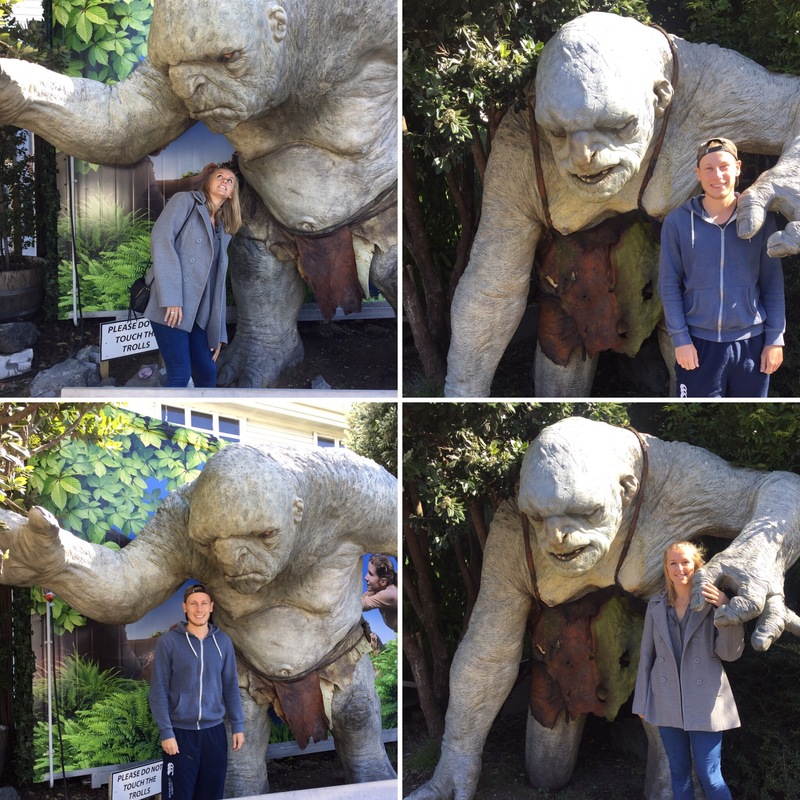 Outside the building there are even big statues of the trolls from the Hobbit films which are cool. 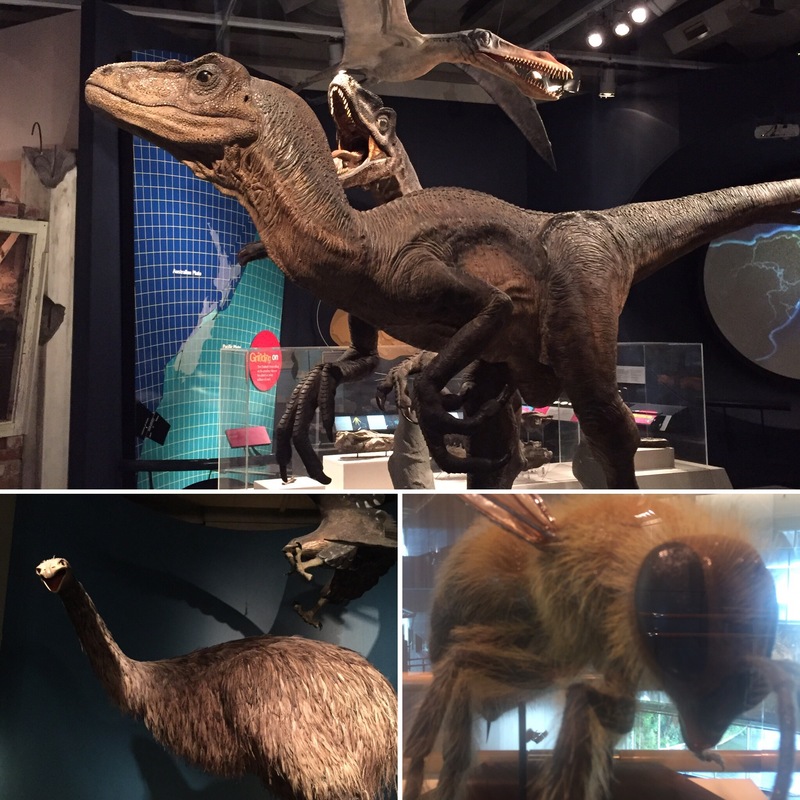 We did the workshop tour and got to see how different types of props get made as well as see props and costumes from some of the films. We weren’t allowed to take pictures because the ownership of the props belong to the different companies who make the films (not Weta themselves) but the Weta Caves did also have a museum which had some models and costumes in which we were allowed to photograph so that’s what’s included in this blog. It was really interesting to see the stuff and how it was made. 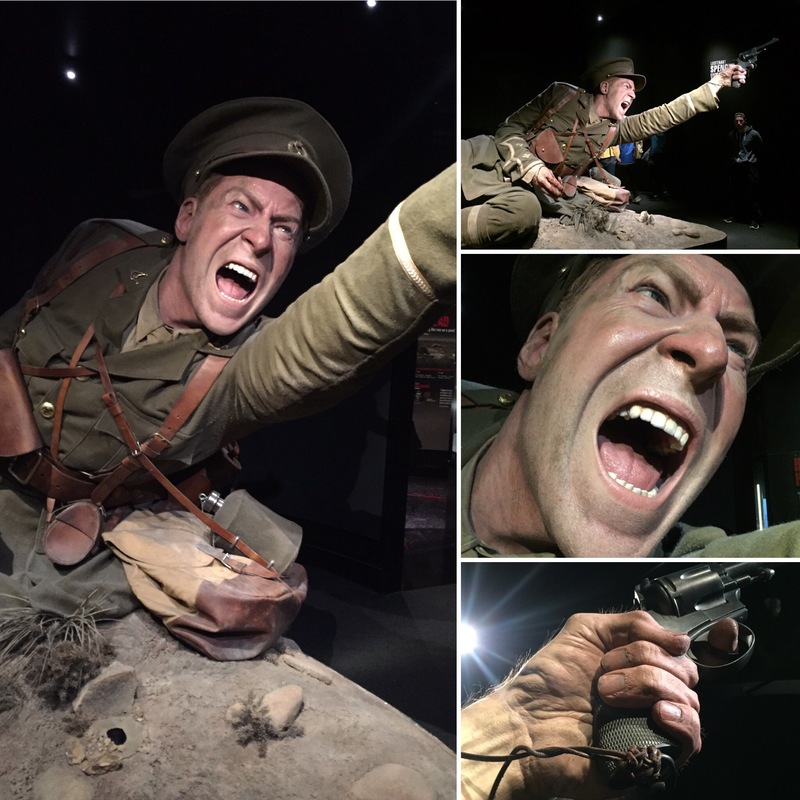 For their weapon props, they make heavier ones that would give the actor a more realistic feel for holding, for example, a gun. Then they swap that for a super light one that the actor can run, jump and throw around without worrying about it breaking, hurting anyone including themselves or getting tired arms when a scene could take hours to get perfect – pretty clever! It’s also cool that they often use random pieces of toys, plastic and rubbish to make parts for a weapon as it will all be painted and disguised to look like a gun anyway. An example of this is a toy harmonica was used for an air vent of a miniature spaceship – once painted you would never know that’s what it was! The people there are so creative and clever and obviously love what they do. 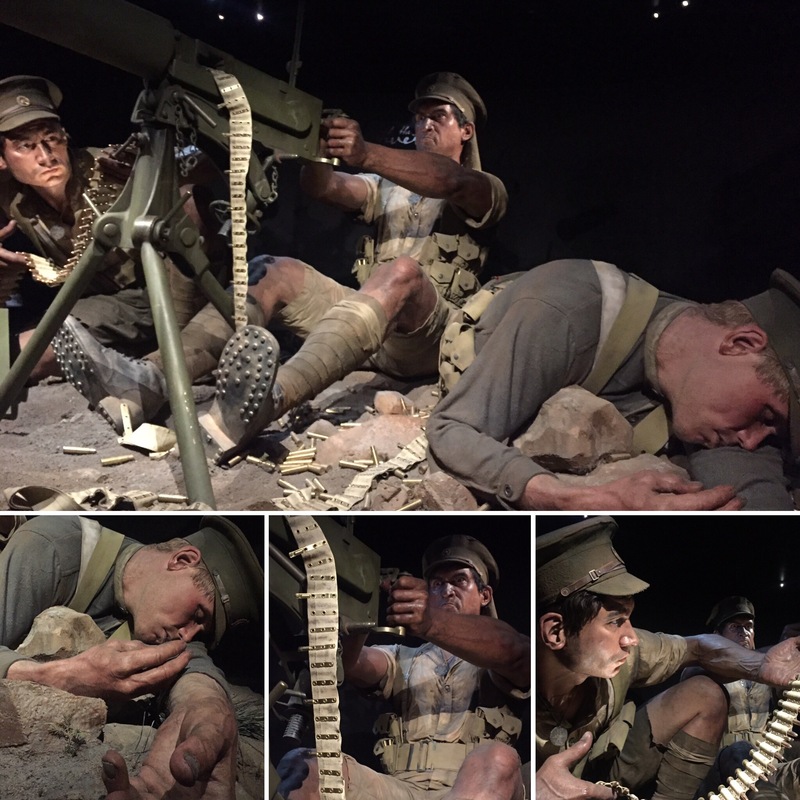 They also created the enormous models that are in Te Papa Gallipoli exhibition which I think shows just how good they really are! 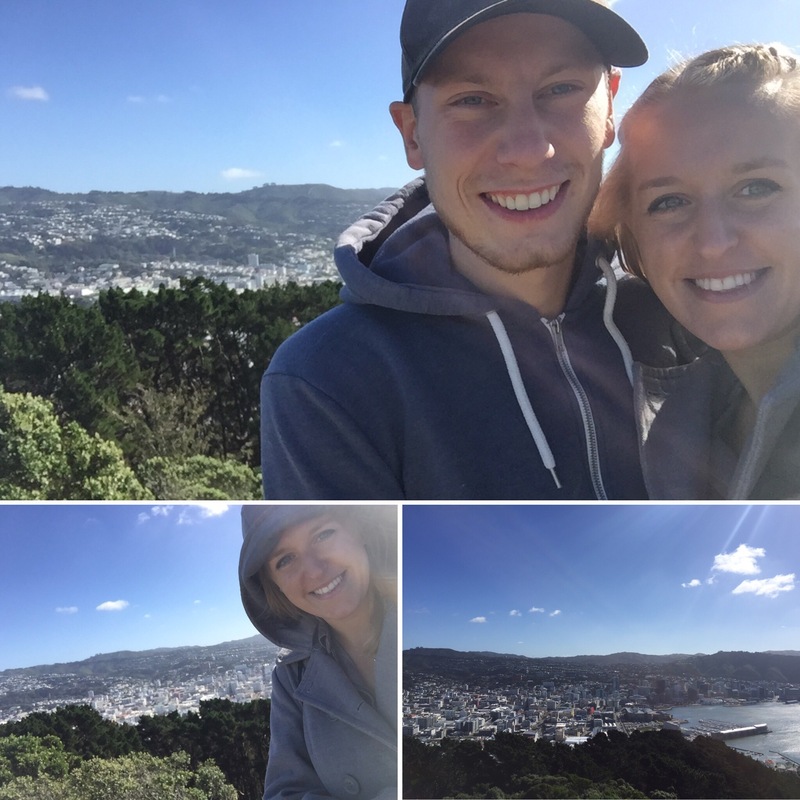 To make life a bit easier, we got a taxi to our next destination of the day, a lookout at Mount Victoria. 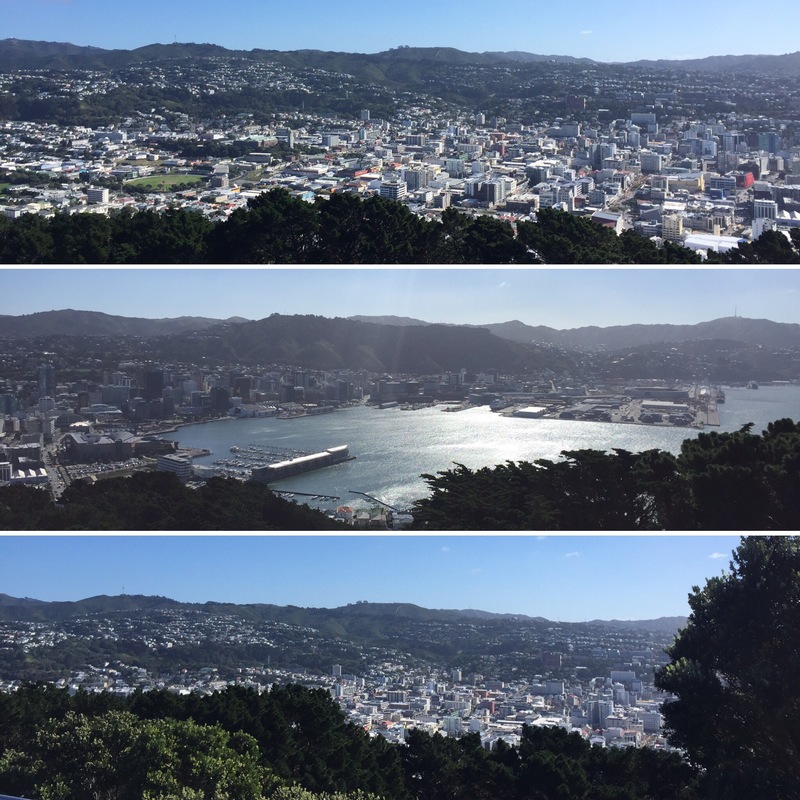 This gave you views of Wellington and we wanted to get there while it was still clear skies. The views were really nice although it didn’t have anything iconic in the way that Auckland or other cities do, neither did it have too many high buildings either (because of the earthquake risk) but it was still a really lovely view particular as it had mountains in the background. 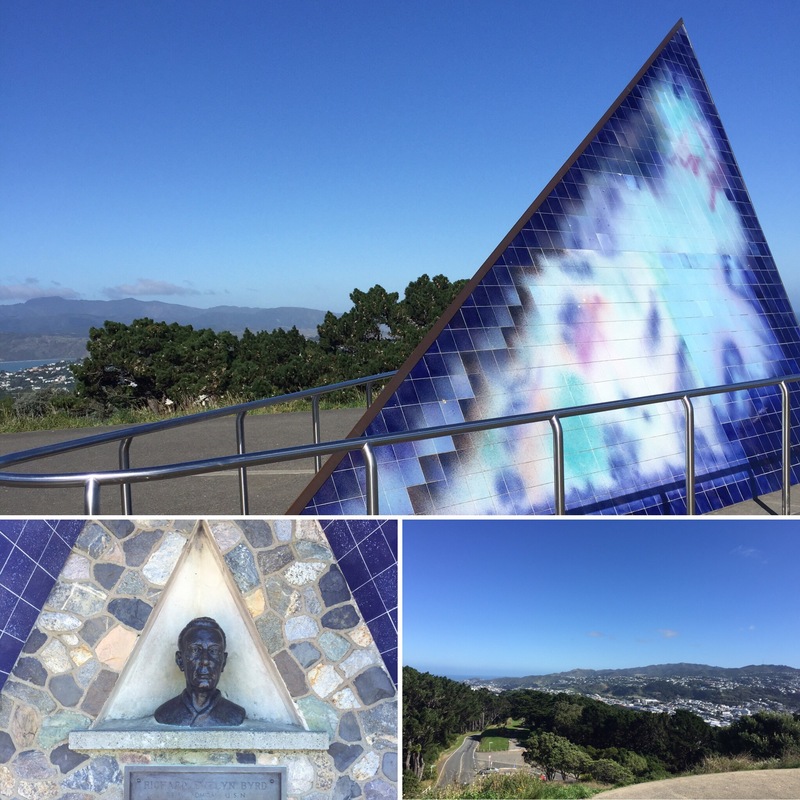 We walked back from the lookout, stopped for lunch at the hostel and then headed back to the Te Papa Museum to finish seeing the rest of the exhibitions that we hadn’t had a chance to see the day before. One of my favourites was a one on passports and immigration. 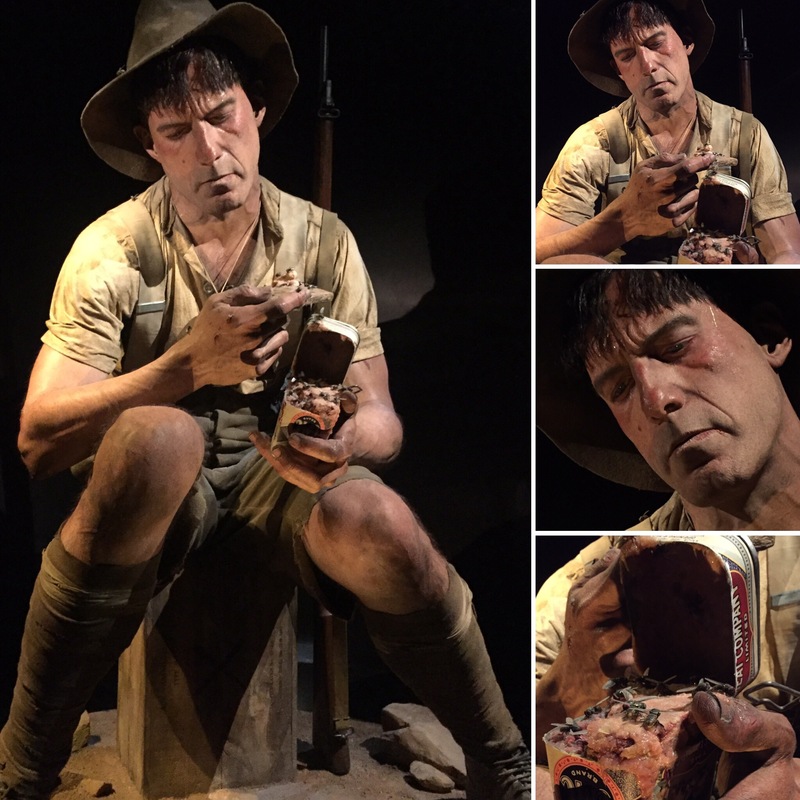 It told us of the history of people migrating to New Zealand, had extracts from real life accounts and showed you how it would have been getting the boat over to New Zealand in the early days. 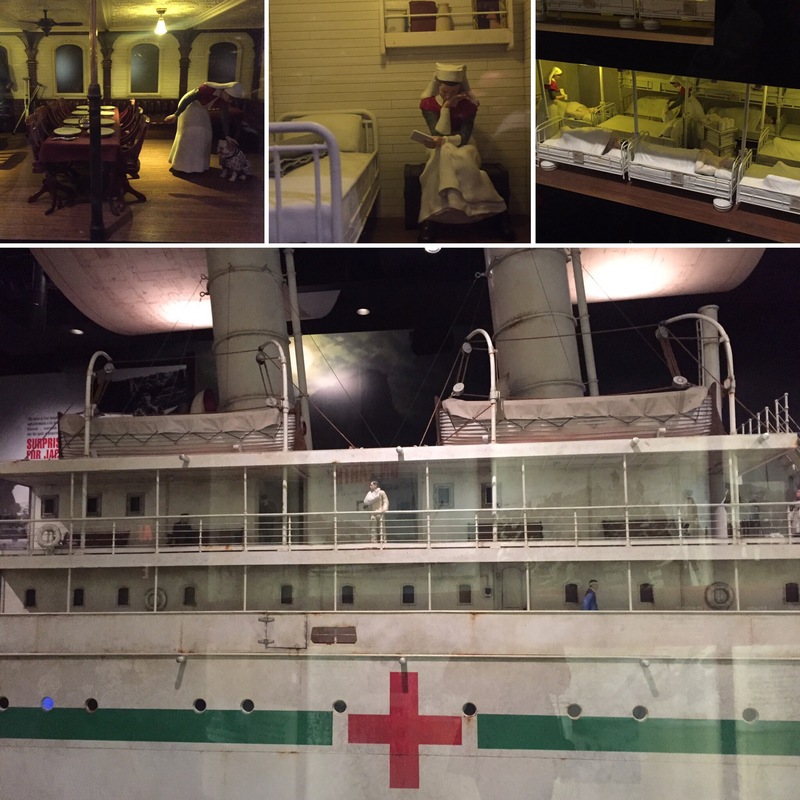 It was cool because I have family members that made those boat trips over to New Zealand so I was reading about experiences that would have been similar to ones they had themselves. 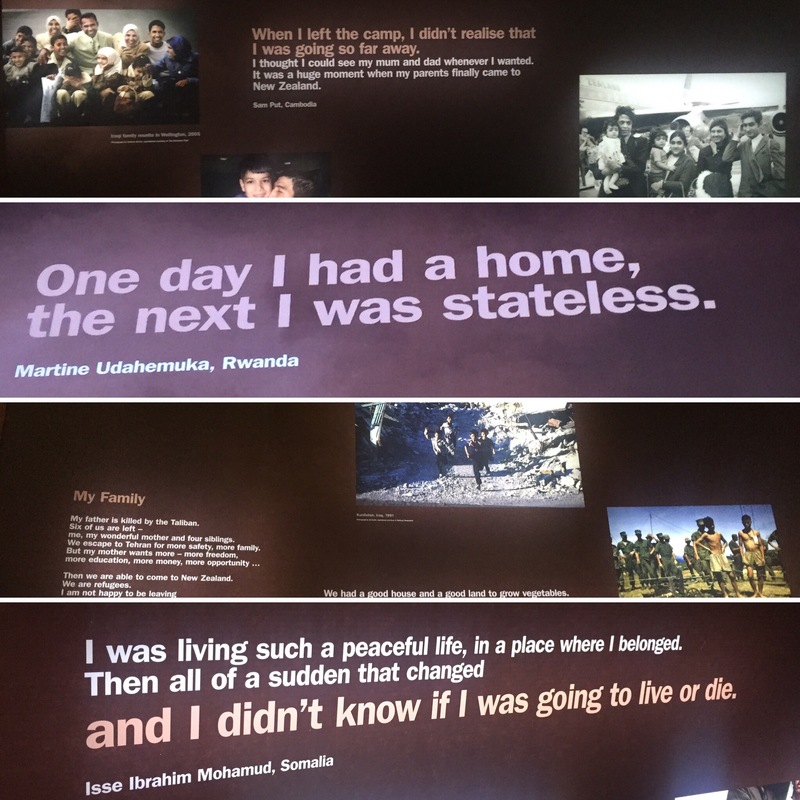 There was also a section on refugees and their accounts of how they’ve found getting asylum or waiting to get it – it was all really interesting. 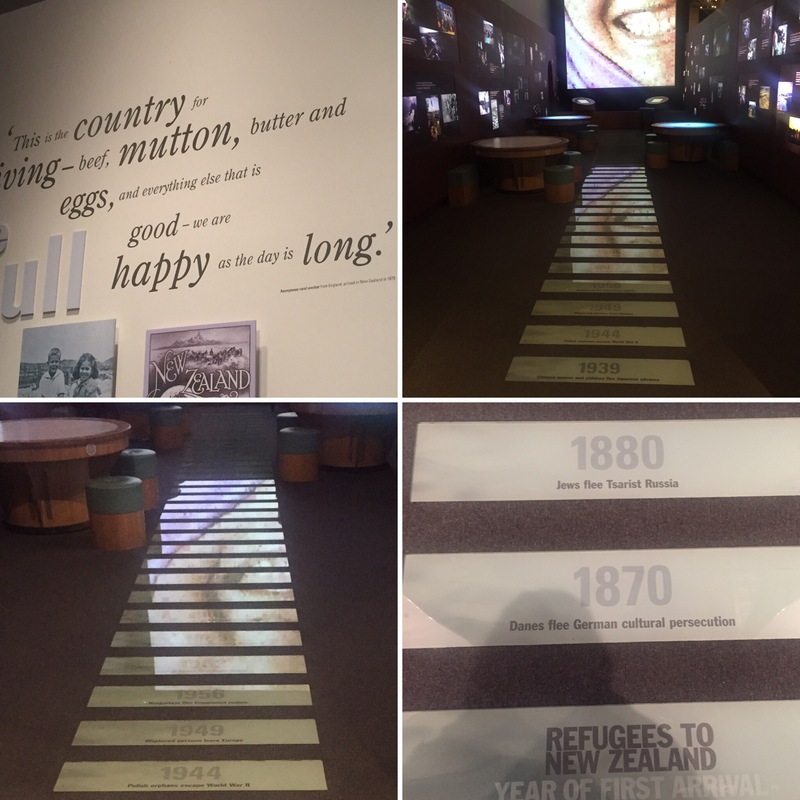 In the museum there is a timeline of all of the wars and crisis that have led to refugees coming to New Zealand and it’s really quite incredible (and very sad) how many there have actually been with new events happening all of the time. After tea we walked to the Westpac Stadium to see a rugby match of the local Wellington Hurricanes against the New South Wales Waratahs (from Australia). 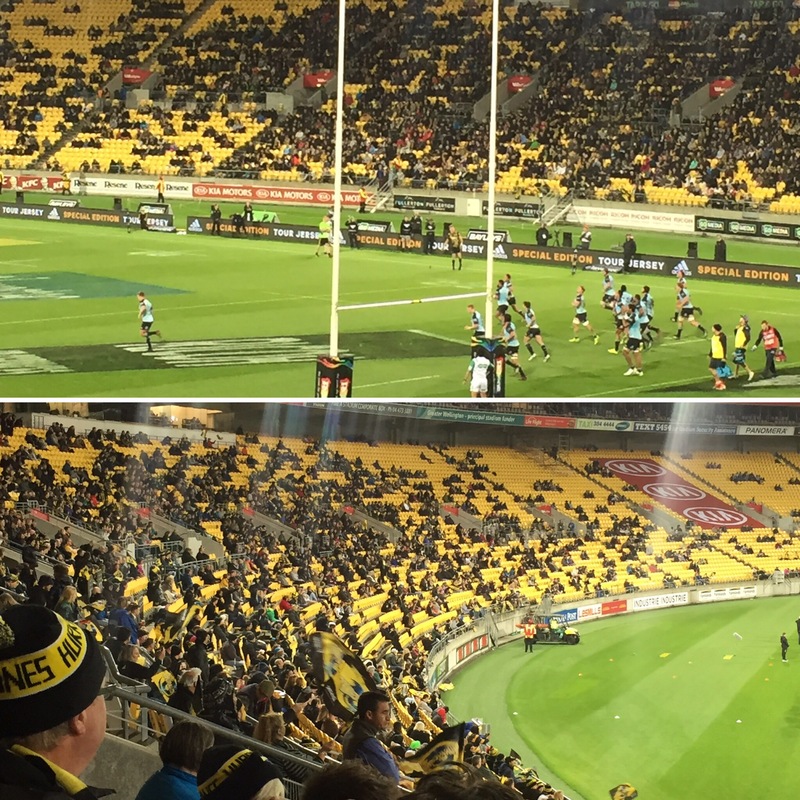 This was the main reason we stayed in Wellington for as long as we did so we were looking forward to the match. I don’t really know the rules of rugby so Niall was as ever the patient teacher when I had any questions. It’s a lot more fast paced than cricket so I didn’t learn all the rules and just asked questions to get enough of a grasp of what was happening. 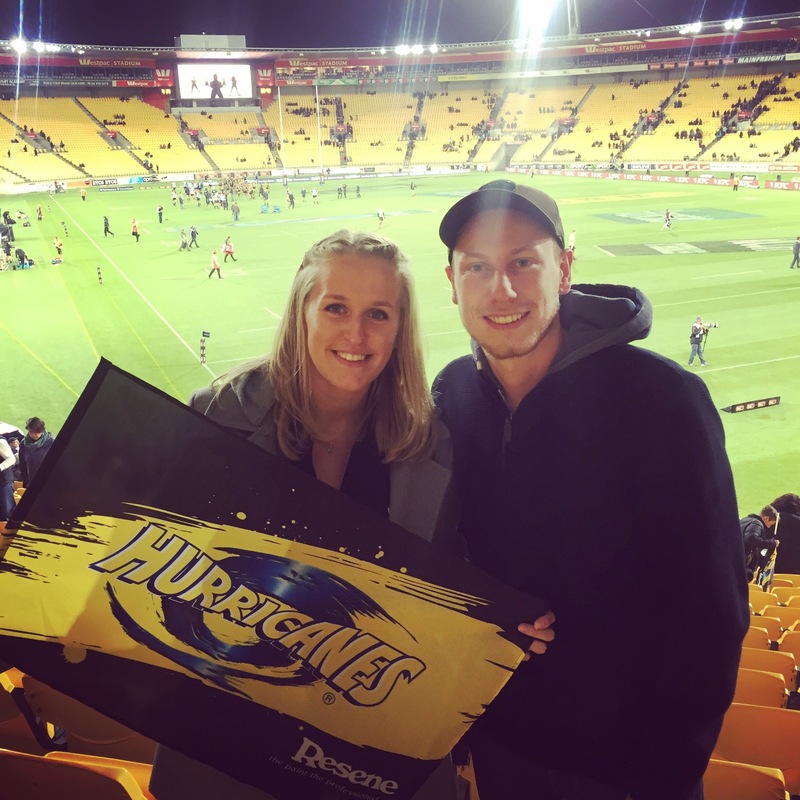 The Hurricanes got a few tries early in the game which was good as we were surrounded by local fans. We had also been given flags outside the stadium so were in full Hurricanes support mode. The second half NSW brought it back a bit and played a lot stronger so, even though Hurricanes still won, it wasn’t such a land slide victory. It was cool because the rugby player Niall had got a photo with in Brisbane, Michael Hooper, was playing so it meant that there was one player who I recognised! 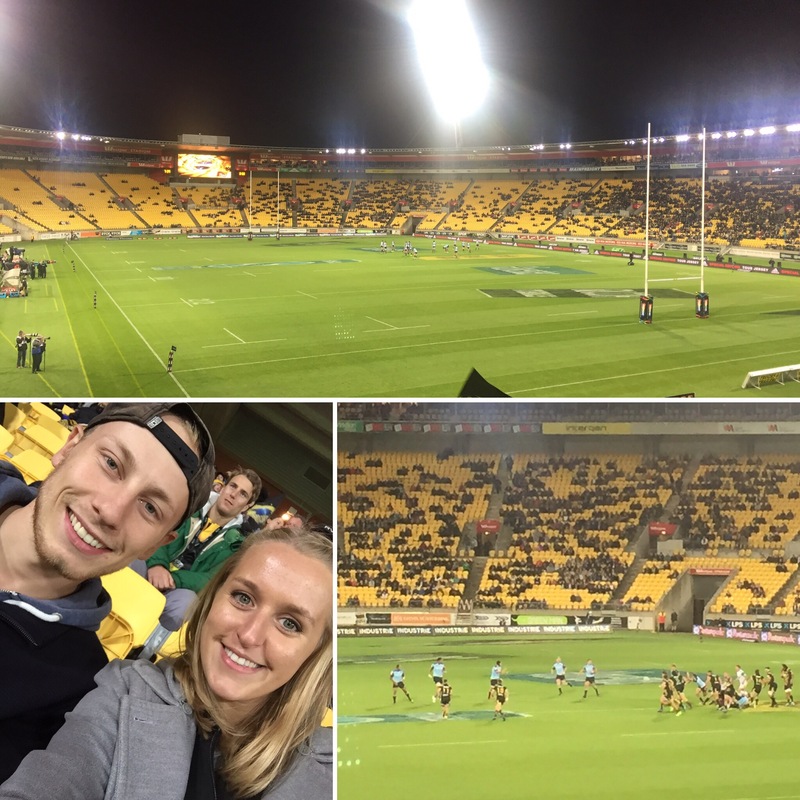 It was a super early start the next morning to make the crossing to the South Island so once the game was over we didn’t stay out for long but we both really enjoyed the game and were really glad we had been able to see some rugby whilst we were there!